The future of the synth range? First, let me say I'm glad that the USB, MIDI and CV modules have been released (hopefully they'll be available from RoboSavvy UK soon, so that I can buy some!) and also I hope the LFO module is released too. Now, I know companies tend to hate talking about future products, because they might change their minds, etc. However, I'm not asking for specifics, just a general idea of what LittleBits have in mind for the synth range. Is the thinking that, with the latest modules and the LFO, the synth work is now complete? Or do LB/Korg intend to expand things further? expanded envelope (ADSR) that can also be used to modulate filter etc. Obviously LFO and MIDI/CV are crucial to synthesis, and the new modules will truly make LittleBits a viable option for musicians and sound designers, but I hope the above list sparks some thought about how the range could be expanded. Although I certainly won't ask whether any of these modules specifically stand a chance of being released, I would like to know generally what we customers can expect LB to do with the synth range. Is it likely to stop at the LFO? Are a few more modules on the cards after that? Are many more modules on the cards after that? That's all I will ask. I would love all of these SO much! I'm curious as to a future for LB! Don't forget about bleep drum coming soon as well! There is a lot in the world of electronics to develop so we can't focus solely on synth but this is where I think the bitLab is so great. Having the community build and vote for the modules they are interested in is an amazing way to get so many of these ideas put into production. Hopefully we see more synth modules coming through the bitLab soon. Just a quick question: any idea when the Bleep Drum and the Oscilloscope are going to be available on your store? But most important is to develop a better oscillator that can be tuned correctly over several octaves. The one you have now is impossible to tune perfect even over one octave. To clarify, the keyboard is not at issue when tuning. The keyboard is digital and outputs consistent voltages across multiple octaves. Testing with a number module or multimeter will show this. The tuning accuracy and tracking of the module depends on the proper use of the tuning dial on the oscillator module. The oscillator is analog and by nature imperfect. It can however track an input voltage over multiple octaves, if not perfectly, then musically. This imperfect character is what makes analog circuits beloved by many. As far as analog oscillators go, our module is not the most accurate or advanced in the field but for the size and price it is unrivaled. I believe to achieve a more perfect result in voltage tracking, the module would need to be digital in design. If you read the whole tread you can see that I have noticed that the keyboard isn´t the problem but the oscillator is a big issue. In one posting I compare with the not digital oscillator in Moog Werkstatt that is cheap and perfect tuned. It is not the imperfection in tuning that makes analog synths beloved. One example of the oscillator problem is when you feed it from the Arturia BeatStep. In that sequencer every octave is diveded in 12 voltage steps. That makes it impossible to get a clean octave with LB oscillator. But it goes better with Korg SQ-1 that has the octave divided in 24 steps. Not perfect, but OK.
And LB sequencer works perfect as the voltage increase is steples. Even if SQ-1 works OK if you only feed a LB synth you can't use it in parallell with a well tuned synth as the Moog Werkstatt. The same notes on the two synths will be very dissonante. What I have heard is that there is no oscillator tuning problem in Korgs small cheap synths so the company must have the skill for designing a better oscillator for LB. I think the problem is sad as I am very satisfied with all other LB synth bits. The vacuum tube distortion module... Would this incorporate the new Korg miniature tube technology I mentioned in the OP? Also, is there any reason not to do a vacuum tube oscillator module? Multi-effect unit... I'm guessing this would have to be digital, to serve up different effects? Also, why combine different effects in one module? Why not separate modules? Wouldn't that enable better control (via bitsnaps and potentiometers, etc.)? Expanded mixer... One way might be a module with, say, 16 sockets. Ship it with a few special wires (maybe 4, and the customer could buy more as needed). 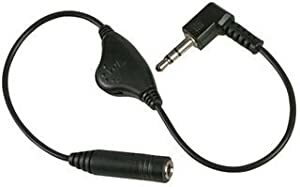 Each wire would have an LB connector at the input end and some kind of tiny plug (mini-jack?) at the output end, with a volume wheel halfway along. Moving the volume potentiometer from the module to the wire, would minimise the size of the module but maximise the number of possible inputs. I love the ring modulator effect, myself. However, my ignorance leads me to ask what the difference is between it and the XOR circuit on youtube. Is the latter ring-modulator-like, or a "true" ring modulator? IIRC ring modulation is the same as amplitude modulation, but I don't know if XOR does the same thing. quite a few of these are possible with feedback connections, for instance different filtering types and delays, phase, effects... although i notice that the littlebits often seem to have issues with feedback connections(?). maybe a bit specifically to feedback would be in order as it's an important concept for many common, useful electronic circuits anyway. a real dca/vca would be nice. making it easier to use any of the great bits available as an envelope source and they'd all let you do things like compression, or like a vocoder could be done with that and many (many!) filters, use arduinos to analyze audio input, make envelope followers and tune the resonant filters. It's five months later now, and the LFO module still hasn't been released, and the MIDI/CV/USB modules still aren't available in Britain, and there is still no indication of any new synth modules that might come after the LFO. The only thing is your mention of a multi-effects bit - I'm sorry, but a multi-effects unit seems very much like "let's just do this and get it over with", because obviously it is not going to be as good as separate bits for each effect. It just seems like the future of the synth range is bleak. Are we ever going to get the modules needed to make a fully-featured synth? Today LB sent out an email advertising the synth kit. I am surprised, given that the kit hasn't expanded since its original release. MIDI and CV are a major thing, sure, but there aren't any new modules to actually affect the sound that is produced. The whole thing seems like such a wasted opportunity. LB could be the best way for people to make modular synthesisers, yet it is limited to the most basic synth capabilities. We need far more modules (chorus, LFO, sine wave, triangle wave, PWM, high-pass filter...) and the modules need to have more flexible connectivity so that, for example, you can modulate a filter with an envelope (and I mean either the cutoff OR the peak). This is the sort of stuff that could be done. I don't understand why LB seem to have so little interest in doing it. To be clear, I do understand that everything takes time. It is the apparent disinterest of LB that saddens me. I can understand no new modules appearing (yet), but I can't understand the lack of news. Here's one module you could make that would bring loads of customers to LittleBits: a formant filter. These are rare and expensive. If you made a formant filter module and priced it at $40, somebody could do formant filtering for $82. That's the power bit, the microphone (audio in) bit, the formant filter bit and the speaker (audio out) bit. All for $82. The cheapest formant filter I can find is $229. Do you really think people wouldn't go for the much cheaper LB option, even if they had never heard of LB before and didn't have any other LB modules? I think they would. It baffles me that LB aren't seeing the potential market here and really going for it. Another one would be that miniature valve technology that Korg have acquired. Make a valve distortion bit and a valve oscillator bit. They'll be the cheapest way for people to do these things, and they will sell. You have a fantastic opportunity here with the synth range. For God's sake, don't throw it away. A majority of what you request is already feasible with the littleBits library. To get different filter shapes, you can use splits, inverters, mixers, and the Korg filter bit combined. Depending on how you snap them together, you can get every filter response possible in a classic Oberheim SEM filter. You will want at least two filters, one split, one mixer, and one inverter to really get started making your own filters. As for modulation, the Arduino Bit will have you covered! You can program any sort of modulation you wish with it. When it comes to effects, the Arduino bit can also work, but you will need to make your own PWM filter. The one on the Arduino bit is set to about 500 Hz as that is the frequency that the default write functions run at. To get a full audio response, you will need to make a PWM filter with a higher cutoff value. I hope this helps you get more use out of your littleBits synth modules! Look at this post - Gonçalo Silva (@goncalofsilva) programed his arduino bit to use a higher frequency PWM speed for exactly this reason. I agree that it's been a while. I have used the Arduino to modulate the filter, and have shared code for making an LFO with those two bits. My point still stands. The filter's resonance can't be modulated by another bit, the delay (and the oscillator) can't be modulated at all by another bit, the envelope can't be used to modulate the filter, and there are many, many potential new bits that LB could release that would simplify modular synthesis for everyone and expand the capabilities to enable people to build fully-featured synthesisers. You can't expect people to do programming instead of buying LB bits; it'll simply turn lots of potential customers away if they know they have to programme an Arduino. In the meantime, what might help is if you shared your code on the forum for modulation and effects using the Arduino bit. I'm curious to try it out. My guess is they have been concentrating on the NYC shop, hence no new modules for ages. Hopefully with the shop now up and running, the priority will switch back to modules. Thanks, I will be sure to read through that thread. Just to be clear, are you saying that I can use the regular "analog" filter on the Arduino bit without an external PWM filter? To modulate the oscillator, you can hook up a mixer to the left most bitSnap on it. This will allow you to provide a base pitch, and a source of modulation. This is also helpful as if you send it a very low modulation voltage, the oscillator will basically turn off. Then if you sweep the frequency up slowly, it will jump to a high frequency for a split second then return to the low frequency setting. However, if you provide a constant voltage and a modulation, this "hiccup" doesn't happen. The envelope can also be used to modulate the filter frequency. If you leave the left most bitSnap unpowered, the envelope will be inverted! This causes the attack to decrease the frequency and the decay to increase the frequency. If you want a regular response, just run a power source to the left most bitSnap. That will give you a standard attack and decay cycle. As to why the resonance and delay can't me modulated, look to the source circuits of the Korg MS20 and Monotron. Resonance and delay time can not be modulated on either of those instruments. The littleBits format meets and exceeds most things the MS20 can do. The noise floor in the littleBits format is lower than on either the MS20 or the Monotrons. That is a major improvement! If they made it possible to modulate the delay bit, there would be no need for a chorus or flange bit. The main thing the littleBits circuits can't do is process external signals for their pitch and amplitude. The MS20 is quite famous for doing that. As for sharing code, I think it is more important to teach kids that what they make has actual value. There are too many unpaid "internships" and low wage positions, and I believe that is in part to never being taught that what they can do has value. While I have made new modulation sources with my Arduino bits, I haven't made any new project pages as I will not give out my work for free. If it would take the average programmer over an hour to code my Super Modulator, $4.99 is cheaper than even the $7.25 minimum wage thy would be effectively spending to make said code. The people who realized this and bought it got it.